After an unprecedented early start, things are moving along slowly but surely. I’ve been putting the row cover over two of the beds most nights, leaving the garlic and broccoli in the 3rd bed to fend for themselves. 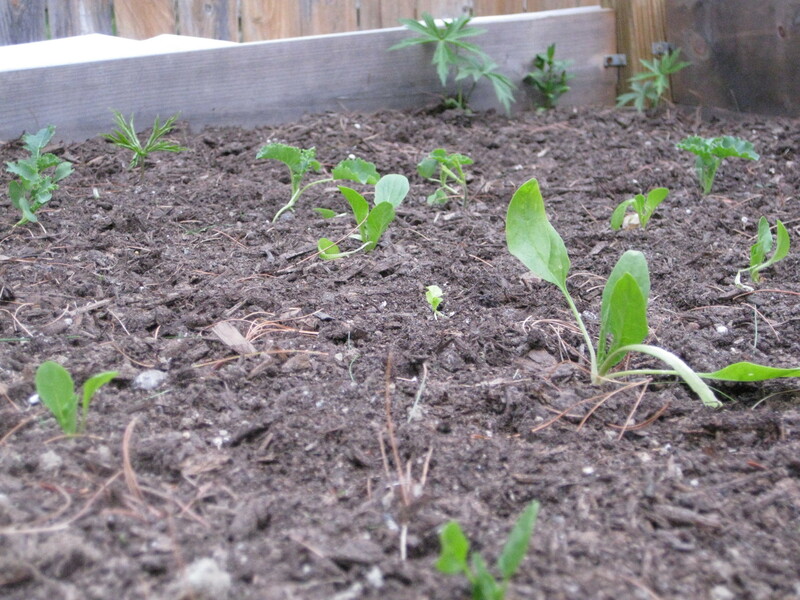 Spinach (about 20), lettuce (8) and kale (5) doing well. 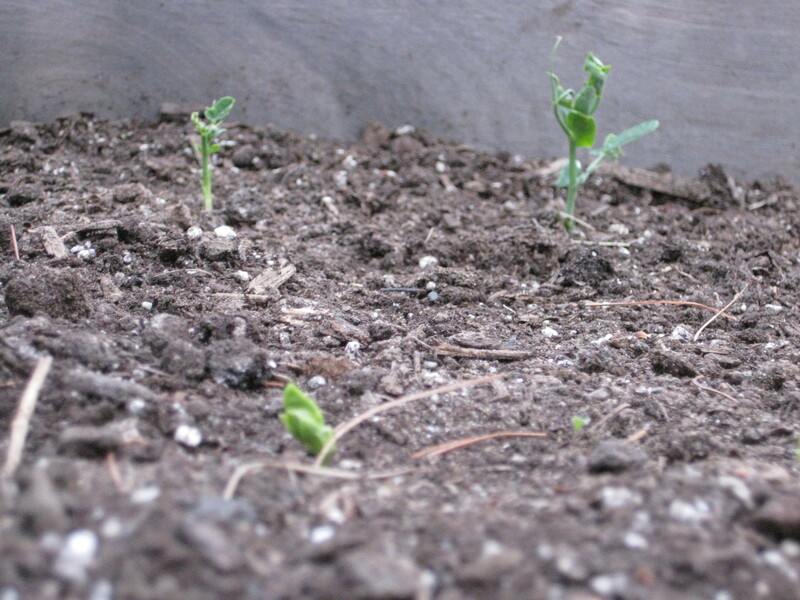 Peas are coming up nicely, about 35 plants so far. I need to get something in the bed for those guys to start climbing on. 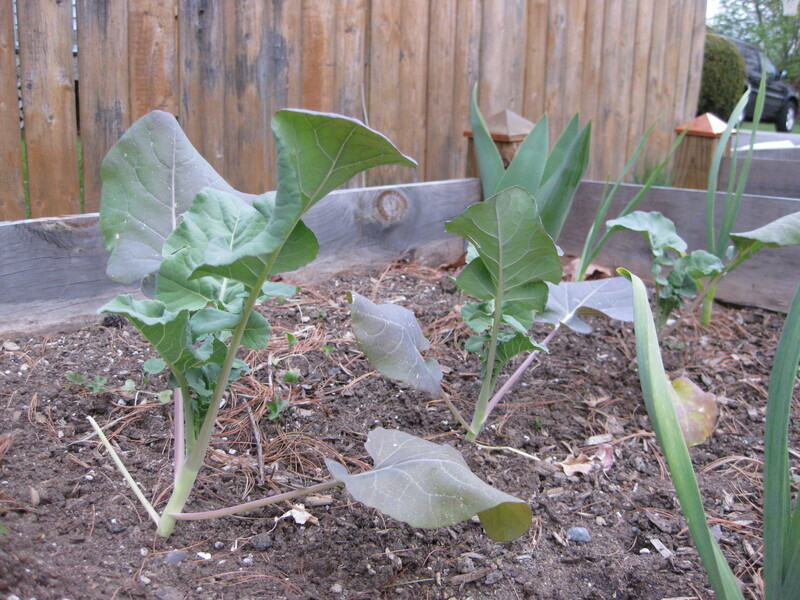 Broccoli is doing OK. I bought 3 plants from the nursery – my 5 seedlings are not doing so well. 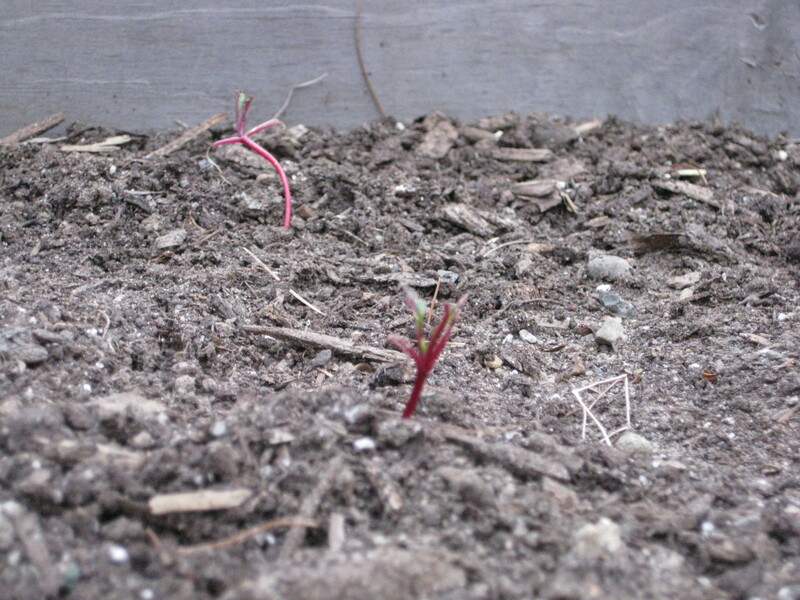 The beets are off to the same bad start as last year – something gnawed the lot of them and I’ll probably need to bring in reinforcements. *%$@#! And I put 2/3 of my seed potatoes into 2 bags and the remaining 1/3 into the back part of the spinach/lettuce kale bed back on April 22. I’ve got Russian Banana Fingerlings in addition to Prairie Blush this year. It’s so nice to see the progress! Very impressive! Huh, I wonder what is eating your beets? Slugs? What is up with the broccoli? Why is yours not doing so well? The peas are looking good, definitely ahead of mine. Love spring! Slugs could def. be the problem with the beets. I have yet to see one near the beds, but they’re stealthy. Not sure on the broccoli. I put it in the one bed where I didn’t test the soil. Also may have put the seedlings out too early in my spring zeal. I think we need to be a bit warmer around here for it to take off.